Give these cute critters a squeeze and see their eyes pop! Build hand strength and provide heavy work input to meet sensory needs. A fun fidget tool! 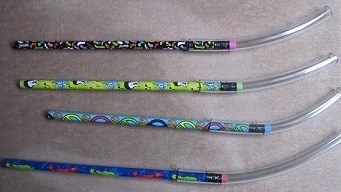 Assorted types. Approximately 2 inches. 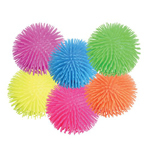 This jumbo sized 9 inch puffer ball is squishy, squeezable and tons of fun!!! Filled with air, this puffer snake feels great. 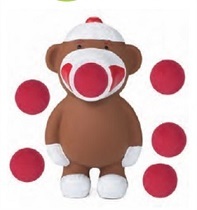 Squeeze the monkey and out comes the soft foam ball. 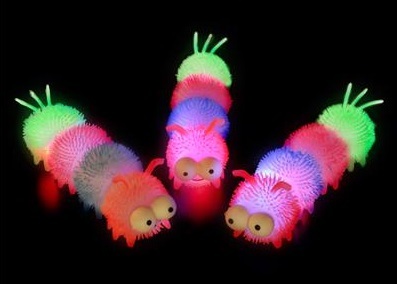 The squishy stretchy light-up caterpillar is an air filled toy that is covered in tiny rubber hairs that provide the kind of sensory experience that kids seek out! Stretch it, squeeze it, roll it, or squish it! It’s a quiet fidget toy with visual stimulation that never loses its appeal! These two little mice and their block of cheese are super stretchable! 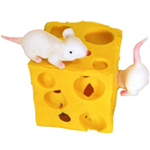 Stretch, pull, push and fidget with these adorable mice and their very own piece of Swiss cheese! A great way to promote the development of buttoning skills!